This Pent Range has been designed with a budget in mind. Smaller in height than the standard pent and all windows are factory fixed. Opening windows are available under the optional extras box. The design can be changed buy you, the door can be in either end of the building or in the front section like the photograph. The door maybe hinged on the left or the right side. Pent roof sheds are popular with many householders and we offer a wide range of sizes. Choose one that allows you some scope for expansion because you will be surprised how quickly you can fill the space with lawnmowers, garden tools, deck chairs, camping equipment and so on. 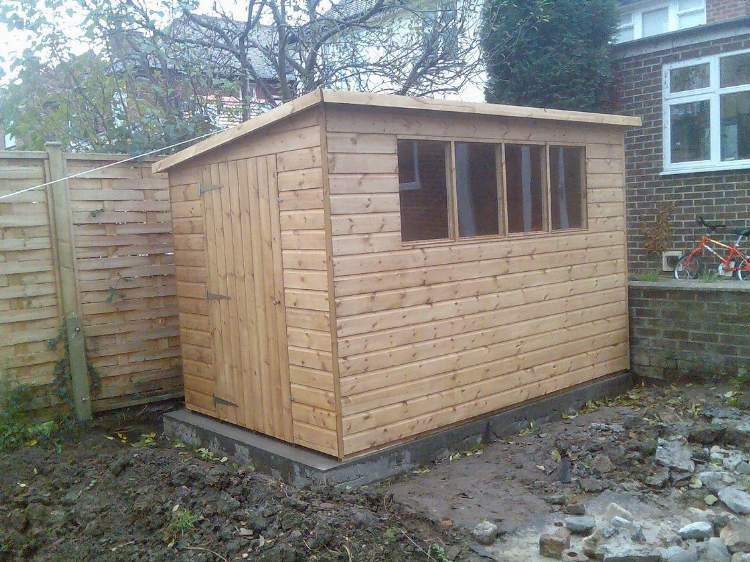 A Pent shed with its good natural light and plenty of headroom also makes an ideal workshop. - 3' x 5' 10 ( 0.91m x 1.78m ) on the larger buildings. 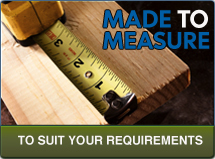 - All windows are fixed measuring 24" x 18" ( 53cm x 45.5cm ) . Most buildings will have two windows with the larger sizes having four.